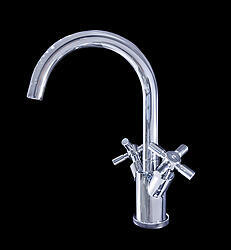 Vessel sink faucet in elegant modern chrome finish design. 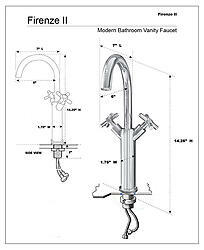 The bathroom faucet consists of a solid brass core and features a sleek chrome finish that ties in beautifully with any modern look. It was designed to exquisitely offer a state of luxury and foster an atmosphere of rest and relaxation. 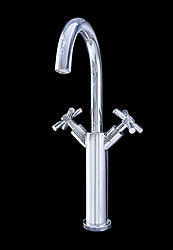 This modern bathroom faucet features an elegant mixer handle, as well as a drip-less ceramic disk cartridge. 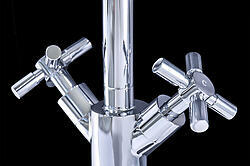 Overall, the faucet embraces the latest trend in luxury modern bathroom design.